When MotoVlogging, it’s important to ensure that you have high-quality equipment to capture everything you do while you ride. That’s why we’ve done all the research to find the best mic for motovlogging to help boost the quality of your vlogs. One of the most important things to consider before you start MotoVlogging is the type of audio equipment you plan to use. There are many great audio choices to choose from, but it does depend on what style of MotoVlogging you plan to do. Are you planning to speak to your audience while you ride, or are you planning to focus your video more towards the ride itself? Important: You need to make sure that the microphones you decide on buying are compatible with your camera’s set-up. MotoVloggers typically use action cameras because they’re easy to set-up, reliable, and capture their footage while riding without obstructing their view. 3 What Are The Benefits Of Getting A Motovlogging Mic? This pick is a bit expensive, so if you’re not looking to spend a little over a hundred dollars, consider one of the other choices. Our overall pick for the best MotoVlog Microphone in terms of quality would be the Sennheiser Condenser Microphone, Black (ME 2-II). This is a very high-quality omnidirectional electret condenser lavalier microphone that will definitely bring you MotoVlog’s quality to the next level. It does come at a more premium price tag, however, for the type of quality you are receiving from this microphone, it is well worth it. This Sennheiser microphone has a built-in windscreen to help prevent sounds of heavy wind in your audio recordings. When properly placed, you’ll be able to record your voice and the sound of your motorcycle as you ride. If you’re looking for a great microphone for MotoVlogging that will last you a long time, then this Me 2-II microphone is for you. Some MotoVloggers like having their video and audio equipment separate from each other, synchronizing the video and audio together in post. You could spend some extra money on a separate recorder for your microphone, or you could use the device that you probably bring everywhere you go. Your smartphone. We found that the Rode smartLav+ Omnidirectional Lavalier Microphone was the best option for MotoVloggers who plan to use their smartphone as their audio recorder. It’s a high-quality and affordable microphone that is easy to set up. You simply mount the microphone inside your helmet and run the chord down to your smartphone. Audio is recorded with your smartphone via the RØDE Rec app, or any other audio recording app on both iPhones and Android devices. This microphone utilizes an omnidirectional condenser capsule to pick up sound from all directions for versatility and user-friendly operation. It also includes a foam pop shield to minimize wind noise and other vocal/speech sounds. The Kevlar-reinforced cable is strong and sturdy, ensuring that you never stretch or snap your microphone under normal usage conditions. 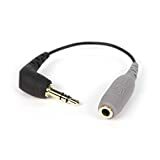 While the SmartLav+ mic is an excellent choice for smart phones, you are going to need to purchase an additional adapter if you plan on also using the microphone directly with your camera – we recommend the Rode SC3 3.5mm TRRS to TRS Cable Adaptor. Of course, you will still have the option of recording with your smartphones, meaning this isn’t completely necessary if you’re happy with that. Now if you don’t want to spend too much on your first MotoVlogging microphone, we do have some options that are still great for use while saving you some money. Fuzzy windscreen and drawstring pouch included. The purple panda definitely falls into the class of “budget” in comparison to our Rode and Sennheiser suggestions, but for a budget device, it comes with some very useful accessories that we think warrant its purchase. As mentioned earlier, with all the different type of microphone ports used on cameras, gopros, and phones, it can be pretty difficult to know if what you’re buying is going to work with your equipment. With the panda however, you’ll never need to worry again. 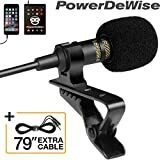 This microphone includes an additional TRS and Mini USB adapter for your microphone that ensures it will be compatible with just about anything you try to use it with. Now, because this microphone is relatively cheap, we weren’t expecting much in terms of quality – the frequency response rate and other related audio statistics are not listed anywhere. However, very few reviewers have been disappointed with the audio fidelity, and many have been quick to praise the customer service of the company, who are very quick to address any issues you encounter. It even comes with a helpful little E-book to outline the filmmaking process and provide guidance to any newbies. We think that really showcases their willingness to go the extra mile. One drawback we did note was the lack of any sort of stereo features. There is only one capsule, so you’ll only have one channel of audio. However, if you’re looking to beef up the sound of your in-camera microphone, the Purple panda will definitely get the job done. Includes 2 Wind Muffs, Extra 79″ cable, 4-to-3 pin adapter, and deluxe pouch. Finally, this is another great lavalier microphone at an excellent price point if you’re looking for cleaner, more professional audio. This lavalier microphone is compatible with smartphone devices, computers, laptops, and cameras that don’t require active microphones (with batteries). The bundle also comes with a nice storage case for traveling, a 79″ extension chord, extra wind muffs for your microphone, and a mono 4 to 3 pin adapter to(connect to computers/laptops, cameras, and audio recorders). What Are The Benefits Of Getting A Motovlogging Mic? It’s very important for any MotoVlogger to invest in a high-quality lavalier microphone for their MotoVlogs. For those of you who use action cameras to film your videos, you may have noticed that the audio quality is probably not as spectacular as the footage you’re recording. You may find that the sound of your voice is getting drowned out by the sound of your motorcycle and the wind. Investing in a nice microphone that works well with Motovlogging will definitely increase the quality of your videos while expanding your possibilities in terms of what type of content you can capture. Buying gear for your vlogs can get expensive, but in this case, quality equipment will go a long way. MotoVlogging is a very active style of vlogging and may cause more wear and tear on your equipment. Investing in some higher quality stuff early on might save you more money in the end. Even though you have a high-quality microphone for your MotoVlogs, you will still need to place it in a good spot for recording. This can get tricky as normally you would have your lavalier microphone placed inside of your helmet. You won’t have to worry about mic sensitivity as your microphone will be placed relatively close to your mouth. Inside your helmet, you’ll find your nose guard. This is a very convenient place to put your lavalier microphone. What you’re going to do is clip your lavalier microphone right onto the center of your nose guard. This is a nice spot that won’t obstruct your view while riding while still being close enough to record and dialogue during your MotoVlogs. From there, you just run the cord down through the bottom of your helmet and connect it to your audio recorder or smartphone. Now, if you have a helmet that has a chin curtain installed, this can also be a nice spot to place your microphone. It will still remain relatively close to your mouth allowing you to record dialogue. 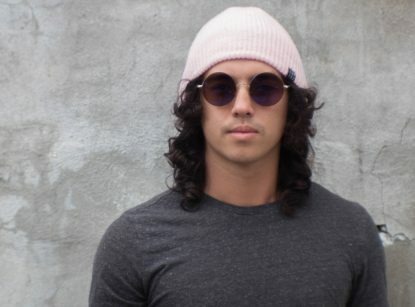 The cushion from your chin curtain can also help block out any wind noise, acting like another windscreen for your mic. Something to keep in mind is that the microphone will be placed below your mouth so the sound of you talking might sound a little different compared to the placement on the noseguard. 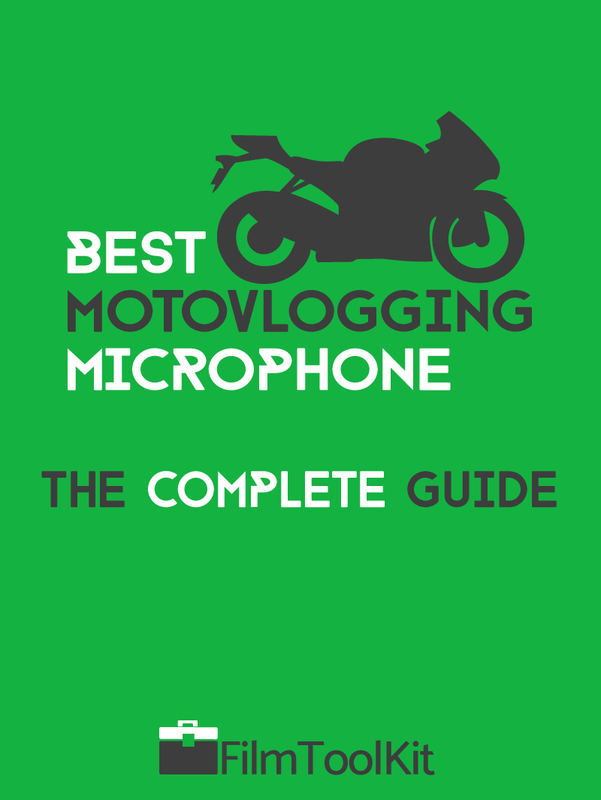 Also for MotoVloggers who have long beards may notice that their beards rub against their microphones from time to time. This could ruin your audio takes. It is a nice spot, but make sure to consider these potential disturbances. One more thing to consider when MotoVlogging is if you want your helmet’s visor to remain open or closed during your vlog. There is a big difference in audio quality, especially for you dialogue between the two. With the visor open, MotoVloggers find their audio recording more clear and understandable, of course when placed in a good spot and being supported by a windshield. 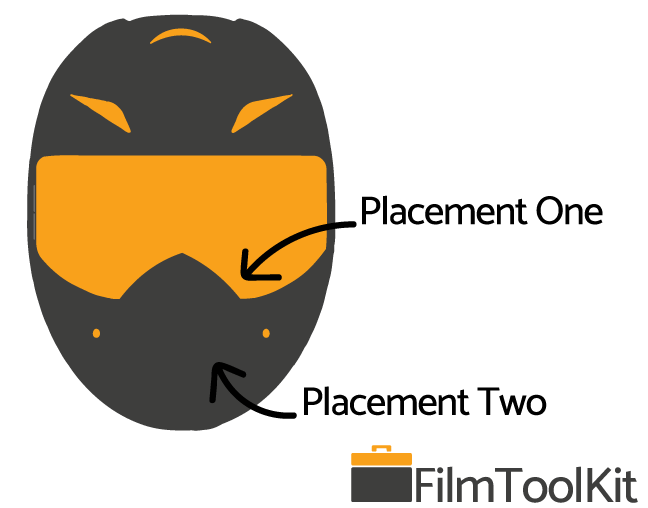 MotoVloggers found that vlogging with the visor closed made the audio that was being recorded sound more hollow. This is because the sound of your voice is bouncing around the helmet, giving your recording more of that hollow sound. It really is up to you if you prefer riding with an open visor or a closed one. Try it out and see which one is better for you. If you are a MotoVlogger that likes to use GoPros for their vlogs, be aware that you will need an adapter to use an external microphone. GoPros don’t have a 3.5mm audio jack so you’re going to need the GoPro USB-C to 3.5mm jack adapter. Older Go-Pro models may require different adapters, as the jack has changed over the years, so inspect your camera to figure out which one you’ll need to purchase. Well, there you have it, the best microphones that we would recommend to any current or new MotoVloggers. The microphones that we have recommended will help you improve your audio quality, overall increasing the quality of your MotoVlogs. If this guide was valuable to you, you would probably also be interested in our complete guide to the best cameras for Motovlogging as well! Check it out.